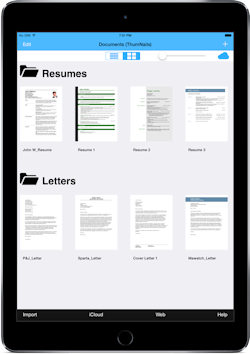 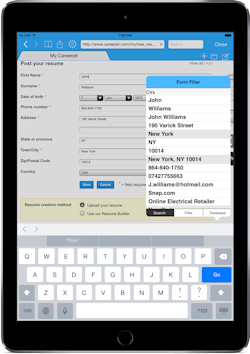 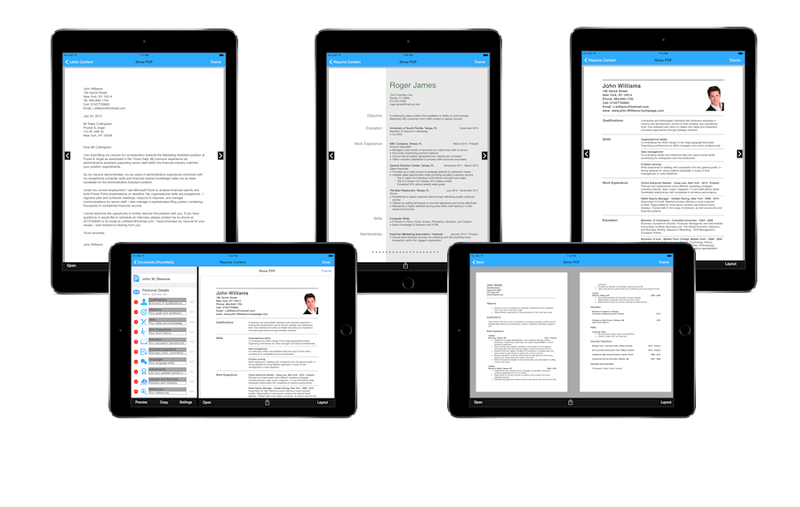 As in the iPhone version, PDF files are created that can be emailed, printed or stored in iCloud. 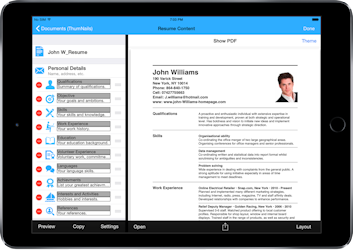 Resume information can easily be entered via forms or imported from Facebook and LinkedIn. 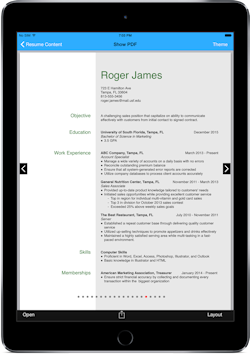 Help guides and tips on writing resumes and cover letters are also included.